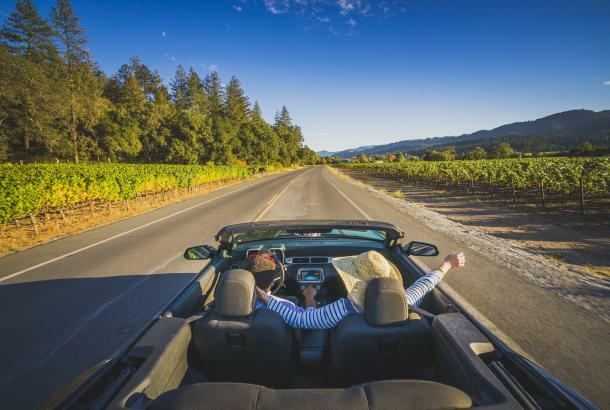 Come discover what&apos;s new in the Napa Valley, including new and upcoming restaurants, wineries, hotels, shops and experiences, found only in the Napa Valley. Brasswood Bar + Kitchen, formerly The Farmer & The Fox, reopened February 19, 2016 in St. Helena. The restaurant serves farm to table comfort food and the space is elegant and approachable with oak paneled walls, polished custom brass sconces and oversize bell-shape light fixtures, which hang over a central communal table. Decorative lamps frame the bright, custom brass bar top. Brasswood Bar + Bakery at Cairdean Estate, formerly Butterscots, opened this past February. The artisan bakery, deli and culinary boutique serves distinctive, hand-made baked goods and picnic provisions, including sandwiches, pastas, salads and sweets. Menus are locally inspired using fresh ingredients sourced from farmers and vendors in the Napa Valley and Bay Area. Picnics, catering, group and private dining is available. Sam’s Social Club, the on-premise dining establishment at the recently renovated Indian Springs Calistoga, will commemorate its one-year anniversary with the launch of a new cocktail program and a new “locals friendly” corkage policy. The launch of the new beverage program takes a balanced approach to cocktails using seasonal inspiration, local spirits, fresh squeezed juices and house-made infusions and purees. A few of the new cocktails include: The Presidential Debate; Lincoln Ave Cooler; The Smoking Gun; and Calistoga Mule. Also new is free corkage for all wines produced in the Upper Valley wines, or Calistoga and St. Helena produced wines. Le Paris Artisan & Gourmet Café opened in American Canyon this past December, at 3921 Broadway. The café serves freshly baked traditional and fusion French pastries and sweets and savory lunches are also prepared to order. The café is open Tuesday-Saturday 7 a.m. – 5 p.m. and Sundays 7 a.m. – 4 p.m. The new JCB Tasting Salon opened February 2016 in Yountville. The Salon encompasses the unique JCB approach that unites exclusive Napa Valley and French wines, luxury, style and retail items curated and created by Proprietor Jean-Charles Boisset. The Salon also features the Surrealist Boutique and showcases luxury goods produced from around the world, including JCB’s custom-designed jewelry collection, candles, and perfumes. Atelier by JCB, a gourmet épicerie adjacent to the JCB Tasting Salon offers a curated assortment of gourmet delicacies. 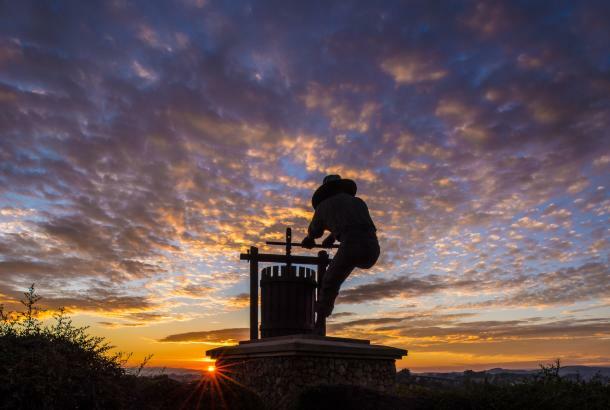 The collection of products is sourced locally in Napa and Sonoma alongside discoveries from international producers from France, Italy, Spain and more. It includes salts, peppers and spices, mustards, honey, olive oil and vinegar from Boisset’s winery estates, smoked salmon, caviar, anchovies, truffles, foie gras, terrines, charcuterie, more than 120 cheeses, chocolate, specialty teas, coffees and more. The JCB Tasting Salon and Atelier by JCB are open daily from 11 a.m. to 7 p.m. at 6505 Washington St., Yountville, CA. Vintner’s Collective is celebrating their post-earthquake grand re-opening this year in their newly renovated, iconic Pfeiffer building located at 1245 Main St. in downtown Napa. This multi-winery tasting room showcases more than twenty small-production, high-end wine producers in the Napa Valley. Open seven days a week 11 a.m. to 7 p.m. for walk-in guests, as well as private, seated tastings by appointment. Vintner’s Collective is now serving lunch from Napa Valley Bistro with their private, seated tastings. Experiences range from $10 - $30 for walk-ins and $65 - $125 by appointment. Yao Ming, global humanitarian, vintner and retired NBA star, opened a hospitality center for his YAO MING® and Napa Crest wines in February 2016. Yao Family Wines is located at 929 Main St. in St. Helena and is within walking distance of St. Helena’s shops and restaurants. The expansive marble-topped oval bar and intimate lounge spaces accommodate groups as well as private guided tastings in Mandarin. Wine Club members enjoy a comfortable private club lounge and outdoor patios shaded by olive trees. Tastings range from $35 - $80 per person. Open daily from 10 a.m. to 5 p.m.
Fairwinds Estate Winery, on the Silverado Trail in Calistoga, opened its tasting room in late 2015. They are currently pouring current vintages and offer cheese and wine pairings by appointment. The tasting room is open Friday-Sunday 11:30 a.m. - 4:30 p.m. The Estate offers sweeping views of the Napa Valley, expansive grounds with picnicking areas and a venue for large gatherings in their spacious wine caves. The Estate also provides a custom crush facility for grape to bottle production, a complete bottling line, and wine barrel storage. Judd’s Hill Winery in Napa recently remodeled their outdoor seating area and patio. This fresh upgrade complements the tranquil vineyard setting while guests enjoy world-class wines. In addition to the new patio, guests may enjoy a new Reserve Tasting menu for $45. Judd’s Hill also continues to offer their Bottle Blending Day Camp experience for $95 per person and Food & Wine in Balance seminar for $50 per person daily, by appointment. All experiences are seated and served by highly trained Wine educators. Judd’s Hill Winery is open daily by appointment 10 a.m. - 4:30 p.m.
Peju Province Winery in Rutherford launched their new Wine and Culinary Exploration in March 2016. The tasting experience consists of seasonal small bites prepared by Chef Alex paired with Peju wines. Available by reservation only on Thursdays, Saturdays and Sundays at 10:30 a.m. and 1:30 p.m. Tickets are $65 per person or $55 per person for wine club members. B Cellars in Oakville launched its “Wine and Wellness: Hike the Vines” experience in February 2016. 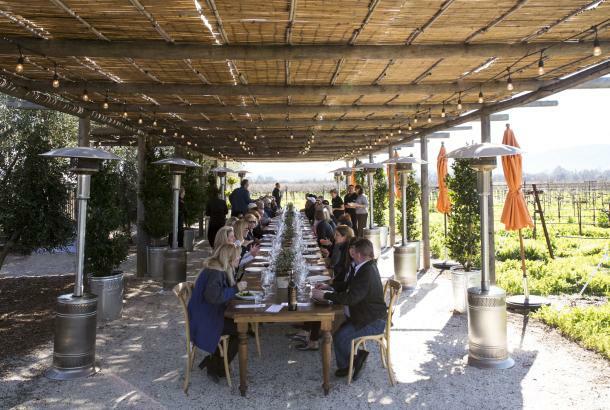 The experience begins with a three-mile hike through the Napa Valley vineyards followed by a healthy vegetarian, vegan or gluten-free meal, dubbed a “B Bite” paired with B Cellars wine (or special juice pairings for non-drinkers). 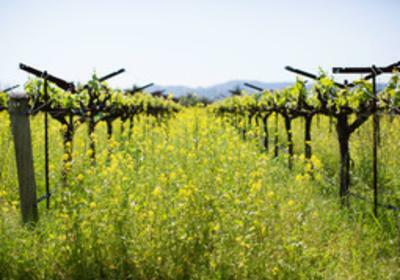 Trained wine guides lead participants through some of Napa’s most elite vineyard sites, and past Conn Creek and the Napa River. Along the way, hikers encounter working farms and wildlife such as hawks and foxes. At the conclusion of the hike, guests may pick produce from the B Cellars gardens that are then incorporated into the B Bites. Recipes for the pairings are available for guests to continue the experience with their favorite wines at home. The two-hour program is $150 per person for up to eight guests. Napa Bookmine, Napa&apos;s locally owned, independent bookstore has opened a second shop in Oxbow Public Market‘s main market hall. They carry a collection of new books, and has expanded their gift section to include more greeting cards, convenient sundries, and other unique, fun items that complement the literary inventory. In addition, visitors to the Oxbow Public Market will find Napa Valley’s best selection of travel, wine, culinary, art & design, and lifestyle books and periodicals, an expanded children’s section, and a well-curated selection of vintage and collectible culinary-focused books as available. The Napa Valley Marriott Hotel & Spa announced their multi-million dollar, property-wide 2016 refinement to include all 270 guestrooms and five suites, a resort pool and recreation area, and a new outdoor event space ideal for weddings and group receptions. The guestrooms are slated to be completed by April 2016 and the outdoor event space will be completed by May 2016. Silverado Resort & Spa opened their new market, Silverado Market and Bakery, in mid-February 2016. It offers baked goods from Napa’s renowned Bouchon Bakery, locally crafted wine and beer, cheeses and charcuterie, Three Twins Ice Cream and a host of other locally produced goods. Mount View Hotel & Spa in Calistoga announced several new wellness services coming in May 2016. The Mount View will begin offering Cool Sculpting. A customized Cool Sculpting treatment program is designed for each individual following a consultation and brief exam with the Mount View Spa medical team led by Dr. Jeanette Williams, MD. Other new Mount View Spa services include a Salt Sauna and an Oxygen Bath. These new treatments will complement the exquisite massage, hydrotherapy, and facial services already offered. La Belle Epoque Bed & Breakfast Inn in Napa launched their formal afternoon tea program in February 2016. The experience consists of a variety of teas, accompanied by teatime favorites such as finger sandwiches, scones, and belle petite desserts. The tea program is open to the public and is $35 per person. Please call for reservations (707) 257-2161. The Culinary Institute of America (CIA) is expanding its California Campus with the addition of the Copia property in downtown Napa. The CIA at Copia will reestablish the facility as a focal point for wine and food enthusiasts to experience the Napa Valley. The building will be open to the public at no charge, and by fall expect to see a new restaurant and retail store at the property, as well as wine courses and cooking demonstrations for wine and food lovers. Tannery Bend Beerworks, created by partners Matthew Cromwell, Tyler Rodde, and Lauren Duncan, is coming to downtown Napa in early 2016. Tannery Bend will brew and serve their own beers, born from a unique collaboration between a brewer (Cromwell) and a chef (Rodde), in a comfortable and sociable setting within blocks of downtown Napa, overseen by a master of hospitality (Duncan). A successful crowd-funding campaign has helped launch the brewery and gotten the local community involved from the very start. Cate & Co. is moving to a larger space in the front of Oxbow Public Market in Napa to create Cate & Co. Cafe, serving breakfast, lunch and dinner. Menus will offer global cuisine featuring fresh, locally sourced and healthy ingredients. Anticipated opening is early 2016. Kenzo Tsujimoto will open his new authentic Japanese restaurant in downtown Napa in summer 2016. Already a seasoned restaurateur with four Kenzo Estate restaurants and tasting rooms in his native Japan, entering the Napa Valley culinary scene has been a long time dream of Tsujimoto. The restaurant and tasting room will be located on the corner of Pearl and Franklin Street, in the former location of The Pearl Restaurant and will feature fresh fish delivered from world renowned Tsukiji Fish Market in Tokyo paired with the wines from Kenzo Estate. Miminashi, Napa Valley’s first and only “Izakaya-style” (Japanese pub) in downtown Napa, is set to open in April 2016 by chef and owner Curtis Di Fede. The menu will feature dishes such as Karage (fried chicken), binchotan grilled porterhouse with uni shiso butter and will also offer beer, wine and cocktails. The design of the restaurant is a close collaboration with owner Di Fede and Michael McDermott and will focus around an open binchotan grill. The Corner Napa, set to open early spring 2016, will be located in a new space in the Riverfront Building in downtown Napa. The restaurant will serve modern California cuisine, relying on fresh and seasonal ingredients from Northern California. The lounge will offer a relaxed setting and full menu options with wine bottle service or mixed cocktails. The bar will offer artisanal cocktails made from fresh juices, natural sugars and local produce. Basalt will grace the Napa River in the heart of downtown Napa in late March 2016. Chef Esteban Escobar’s seasonal California cuisine will draw influences from the earliest traditions of Mexican and Spanish cooking. At the bar, San Francisco Chronicle bar star Jason “Buffalo” LoGrasso is curating an exciting and approachable cocktail menu with an extensive array of wine and beer on tap, largely celebrating local products. Johnny’s Restaurant & Bar will be open in late March 2016 in the Mount View Hotel & Spa. The new restaurant will be loosely modeled after the 1919 restaurant originally created by Johnny Ghisolfo. The new Johnny’s will be opened for breakfast, lunch and dinner. 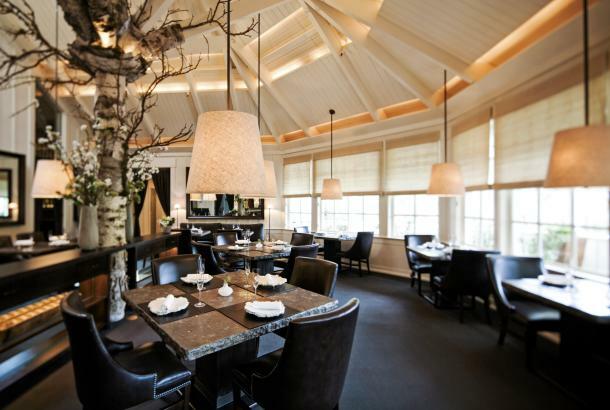 Chef Christopher Kostow and Nathaniel Dorn of the Michelin-three starred The Restaurant at Meadowood will open a new elemental restaurant named The Charter Oak in 2016. The Charter Oak will be located at 105O Charter Oak Ave. in St. Helena and be centered on a celebratory and casual dining experience. For updates follow @The_CharterOak on Twitter and Instagram or join their mailing list. Charlie Palmer Steak by Chef Charlie Palmer (owner of Harvest Inn and Harvest Table in St. Helena) will open at the new Archer Hotel in downtown Napa in spring 2017. Charlie Palmer has been praised for creating steak restaurants that break the typical mold of the men’s club, creating a haven for both carnivores and wine enthusiasts alike. The chef’s namesake steakhouse restaurants are also in New York City, Washington DC, Las Vegas, and Reno, NV. Additionally, Palmer and team will oversee the culinary direction of the rooftop bar, poolside and in-room dining, as well as private events and executive retreats for the Archer Hotel. Bounty Hunter Wine Bar and Smokin’ BBQ is scheduled to open its new space in downtown Napa in early 2018. The new building will be a four-story, 27,500-square-foot food and wine emporium on the corner of First and Main streets in historic downtown Napa. It will feature a lively restaurant, a full-service bar, and curated retail space for wine and spirits, a wine lab designed to provide locals and visitors with a unique educational experience, plus intimate spaces for special events and private dining. Freemark Abbey is undergoing an extensive renovation to be completed summer 2016, that will preserve the century-old historic stone building while introducing modern updates, including a dedicated space for the winery’s wine library, a rejuvenation of its original tasting room, a redesigned wine club lounge, and a new outdoor plaza and café. Brand-new guest experiences will also be unveiled, such as courtyard-seated tastings and exclusive wine club tastings, as will custom group options in renewed spaces, including the Barrel Room and Partners’ Room. The refreshed estate will also feature the opening of Two Birds One Stone, a California-inspired yakitori restaurant by chefs Douglas Keane and Sang Yoon. JaM Cellars is coming to downtown Napa in May 2016. Wine flights, as well as by the glass and by the bottle programs will be available for Butter Chardonnay, JaM Cabernet and Toast Sparkling. There will be a number of guest wines and special releases only available at the downtown tasting room. Designer Richard Vonsaal is creating a unique, funky space with reclaimed materials and contemporary twists, including a performance area and private room wired for sound. Napa Valley Bike Tours & Rentals is opening a new bike rental shop in Napa coinciding with the opening of the new section of the Napa Valley Vine Trail on April 1, 2016. The new shop will be located at 3259 California Blvd. within three miles of 35 Napa hotels and inns and with direct access to the Napa Valley Vine Trail (scheduled to open May 2016). 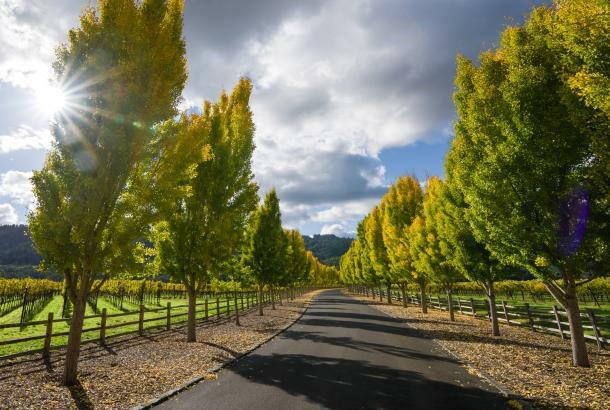 This will be the third wine country location for Napa & Sonoma Valley Bike Tours; their other locations will remain in Yountville (bike tours & rentals) and Sonoma (bike tours & rentals). Napa Valley Distillery has expanded into a 12,000 square foot complex on Stockton Street in Napa. The new location will house an additional tasting salon and be open to the public for tours, special events, tastings and bottle purchases. The company will continue to produce all of its current brands, including their popular Old Hollywood Ginn at the new facility but will also be adding several new brands including Rums and Whiskies to its portfolio. Future batches of Napa Valley Distillery’s spirits will be distilled using custom made direct-fire Charentais Copper Pot Stills. Tours and tastings will start in late April 2016 and start at $25 per person. Slated to open in spring 2017, First Street Napa will create a walkable, high-energy gathering place for residents and tourists alike to shop and dine. Led by Zapolski Real Estate and Trademark Property Company, construction is underway on a $100 million, 380,000-square-foot redevelopment that will add more than 40 shops and restaurants and a 183-room boutique luxury Archer Hotel to surging downtown Napa. Additional enhancements will include new hardscape and landscaping, seating areas, water features, a locally curated public art program and improved connectivity within the downtown area. Blue Note Napa Valley will open in summer 2016, offering live music seven days a week in downtown Napa. Occupying the first floor of the historic Napa Valley Opera House, the jazz club will present national and international artists, along with Bay Area and regional favorites, paired with the region’s finest wines and craft brews, farm to table cuisine, and classic cocktails. Blue Note Napa Valley ownership will also present musical headliners of all genres in the Opera House’s second-floor Margrit Mondavi Theater. The Carneros Inn is making various renovations to their family pool, the Wedding Garden and the guest entry through March 31, 2016. These enhancements include an elevated deck with a shade trellis and new padded lounges throughout the Family Pool area. The Wedding Garden, the property’s main wedding site, will receive $1 million renovations that include a beautifully planted trellis, a stunning water feature and new lush floral bushes to define the space. The Carneros Inn will also feature a new guest reception building and property entrance. Additionally, 40 cottages are currently receiving enhancements that include a new color palette, bathroom renovation with new heated tile flooring, counter-tops, bathroom fixtures, and soaking tubs. The first phase will be completed by mid-April 2016, with the remaining cottages completed in 2017. The Hilltop Pool will feature an expanded deck for additional lounge furniture, along with eight private cabanas with vineyard views. Las Alcobas, a Luxury Collection Hotel, will open in St. Helena in the fall of 2016 as a sister property to Las Alcobas in Mexico City. Las Alcobas, designed by Yabu Pushelberg, will feature 68 guest rooms and suites with terraces and outdoor fireplaces, a signature Chris Cosentino restaurant, a 3,500 square foot spa, an outdoor swimming pool, meeting and event facilities and all of the brand’s signature amenities and services. Archer Hotel Napa, a luxury, boutique, new-build hotel in the heart of downtown Napa, the anchor of the First Street Napa development, is well underway and on track for a spring 2017 opening. 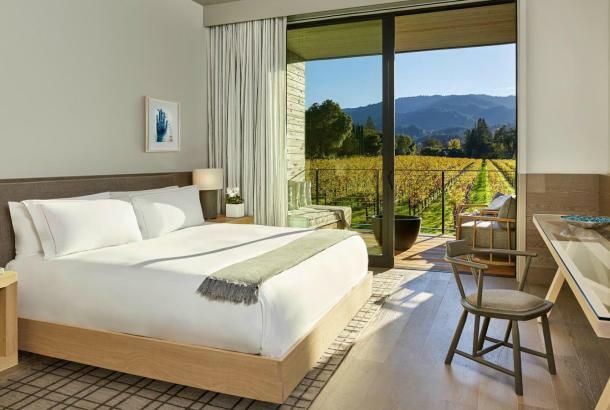 The highly anticipated 183-room, five-story wine country retreat with a distinctly urban beat will offer sweeping 360-degree views of Napa Valley, the only vista of its kind in the area. The Charlie Palmer Group will be leading the culinary direction of rooftop bar, over 15,000 square feet of indoor and outdoor meeting and event space, in-room dining and the signature restaurant, Charlie Palmer Steak. Auberge Resorts Collection will break ground in 2016 on VieVage Napa Valley, a new destination resort in the Carneros district, which is slated to open in 2018 as the second resort from Auberge’s new VieVage Hotels and Resorts lifestyle brand. The resort will be set on 95 acres of the 712-acre Stanly Ranch and will feature a casual restaurant and bar, bakery, winery and outdoor gathering spaces with fire pits, barbeques, bocce court, and outdoor concerts. The 130 stand-alone cottages will accommodate families and groups, and be set amid private communal vineyards, gardens, and bicycle and walking paths. Set to open in 2018, the new Four Seasons resort and residences in Calistoga will feature a world-class luxury hotel and residences with a fully operational winery and hand-farmed vineyard. A limited collection of wines will be produced on-site at the winery under the direction of acclaimed winemaker Thomas Brown. The resort will also include three unique food and beverage offerings, multiple pools and a state-of-the-art fitness center, as well as a world-class spa featuring the natural geothermal waters unique to the Calistoga region.